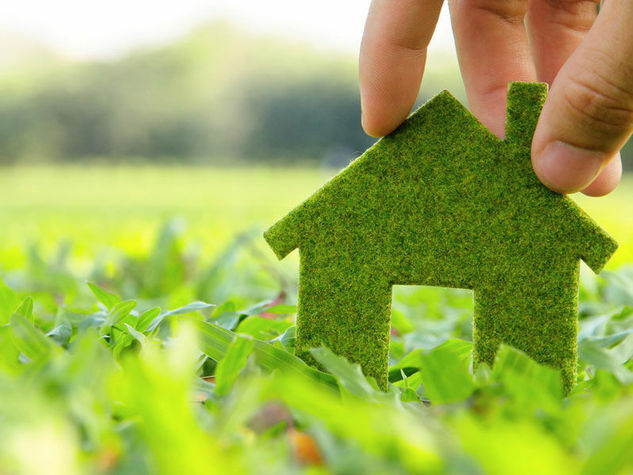 8 Eco Friendly Building Materials Utilised in Green/Sustainable Buildings! Due to rapid urbanisation, changing lifestyles, and new technologies, the demand for energy is continually increasing day by day, with few resources of energy left. Globally, buildings are responsible for at least 40% of energy use. In addition, building activities contribute an estimated 50% to the world’s air pollution, 42% of its greenhouse gases, 50% of all water pollution, 48% of all solid waste and 50% of all CFC (chlorofluorocarbons) to the environment. People are becoming aware of the environmental pollution and are shifting towards new technology and materials which are eco-friendly and help in conserving the environment for future generations. Hence energy efficient buildings and eco-friendly building or sustainable buildings can reduce the energy demand by as much as 40%. To make buildings green, it is essential that it consists of energy efficient and eco friendly building materials and constructed by techniques which are eco-friendly. Here we have given brief information on few eco friendly building materials, which can help in green buildings to save the environment and conserve natural resources. Also Read: Smart Homes: 10+ Benefits of Home Automation Technology! Portland Pozzolana Cement (PPC) is a variation of ordinary Portland cement (OPC), which includes a mixture of pozzolanic materials which are known to increase the strength of concrete and reduce the amount of cement used. It consists of OPC, gypsum, and pozzolanic material. The different pozzolanic materials used are fly ash, rice husk ash, volcanic tuffs, etc. The most commonly used pozzolanic material is fly ash, as it is a waste product available in abundance, and otherwise has a disposal problem. Fly ash is a waste product obtained after burning of coals in thermal power plants. This waste was dumped in dumping ground, and hence contributing to land or soil pollution. There are many advantages of PPC over OPC such as it is cheaper, gives high final strength, less impermeable, etc. Now the production of OPC is almost eliminated, and most companies manufacture PPC. As a result, the carbon dioxide emission due to the manufacturing of OPC has reduced. Hence, It solves the disposal problem of fly ash and saves natural resources. PPC is an eco-friendly building material. AAC blocks or Autoclave Aerated Concrete (AAC) blocks are nowadays widely used as an alternative to red bricks. AAC blocks are made from cement, sand, lime, water, and additives. Many manufacturers use fly ash instead of sand as fine aggregates in manufacturing of AAC blocks. Red bricks are made from topsoil, and hence its continuous production has lead to depletion of fertile topsoil ultimately leading to huge loss of agricultural land. AAC blocks are lightweight blocks which are easy to handle and transport; hence less fuel is required in its transportation. For high RCC framed structures they help in saving structural steel and thus decrease the cost of construction. They provide good thermal insulation properties as compared to red bricks and aid in energy conservation. They have high initial cost but over the long run are more economical when compared with red bricks. AAC blocks do not use fertile soil, and hence they are eco-friendly building materials. With aesthetics like wood, bamboo is a grass, which grows very quickly. Bamboo is used as a building material since ancient times and has nowadays gained popularity due to the scarcity of natural wood. Bamboo takes 3 to 5 years to mature as compared to other trees, which take 50 – 100 years to produce wood for construction. It is lighter than steel but has strength five times as that of concrete. It has good moisture resistance and can be finished easily to make it scratch resistant. Bamboo can be used in flooring, decking, cabinets, furniture, etc. It is available in various shades and is inexpensive as compared to hardwood. Hence, it is used in making low-cost housing. Bamboo can be replanted and reforested very quickly, making bamboo a natural green building material. Grass pavers are manufactured from 100% recycled plastic. The recycled plastic grids are laid on the surface, and then vegetation is planted in each of the grid holes. They are light in weight as compared to concrete pavers and hence are easy to transport. There are many advantages of grass paver over concrete pavers. They provide a natural environment and better aesthetics. As they are porous, they help in recharging groundwater, which is not in the case of concrete pavers. Grass pavers are cheaper and are widely used in walkways, sideways, landscape gardens, etc. Also Read: Unlock the Secrets of Paver Block! Fiberboards are made from wood waste products such as sawdust, wood chips, wooden shavings, etc. The wood waste is bonded with resins which emit no or low VOCs. There are three types of fibreboards available in the market; i) particle board or low-density fibreboard, ii) medium density fibreboard (MDF) and iii) High-density fibreboard (HDF). Fiberboards are nowadays extensively used for making furniture instead of natural wood. They generally come in pre-laminated form and veneered form. Fiberboards can be made fire-resistant by bonding with fire-rated resins. Cupboards, tables, embossed jalis, accent furniture, etc. can be easily made from these fiberboards, instead of natural wood. They are inexpensive and lightweight as compared to wood. HDF and MDF are used in the core of laminate flooring. Particle board also has various uses such as modular office furniture, partitions, wardrobes, etc. Paints give out strong smell which is due to the presence of volatile organic compounds (VOC) such as formaldehyde. Paints come in the second position to emit VOC, after automobiles. Prolonged exposure to VOCs causes allergies and degrades the quality of indoor air of your house. For sensitive persons, it can cause headaches, irritation, nausea, etc. Low VOC paints contain fewer chemicals which emit VOC. They are generally water-based paints. Low VOC paints are expensive as compared to normal paints, but are eco friendly materials and help in maintaining indoor air quality. Grasscloth wallpaper is handmade wallpaper with natural grasses (fibres) that are woven together with thin coated thread and adhered to a paper backing. Grasscloth wallpaper creates warmth with its appealing real texture. It is made with natural materials like hemp, jute, sisal, arrowroot, reed or sea glass etc. These natural fibres are hand-woven together using cotton threads and fixed on a thin rice paper backing. Grasscloth wallpaper absorbs sound and covers wall imperfections. It has high cost as compared to other traditional wallpapers. Grasscloth wallpaper is used in home, offices, music room, study room, master bedroom and bathroom. This wallpaper is not installed in the children room because it can be easily torn. After its use, it can be recycled and hence is a green building material. Also Read: Grasscloth Wallpaper: All you Need to Know! Low emissivity glass which is commonly known as low e glass has excellent thermal insulation properties. A special coating is applied to the glass which allows only visible light to enter the room and thus gives protection from UV and infrared rays. 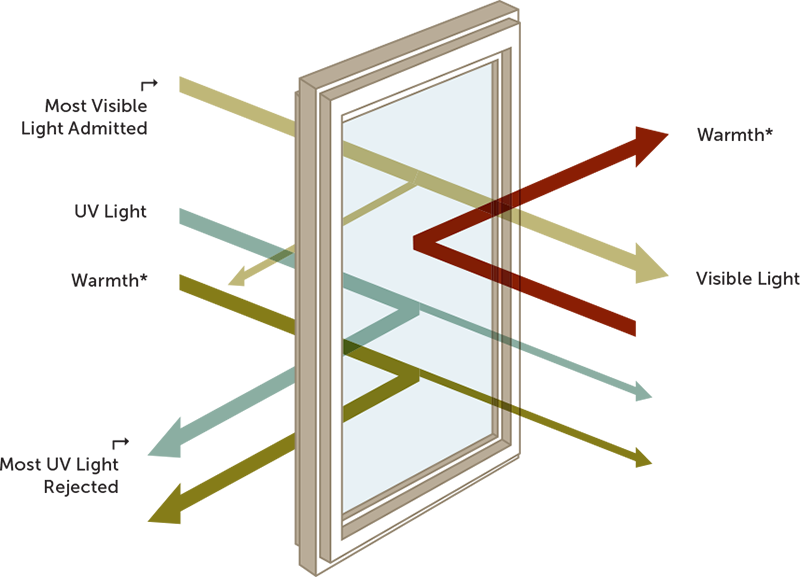 Low e glass acts as a barrier between inside temperature and outside temperature, thus preventing energy transfer. In winters, the low e glass windows will not allow the heat of the interiors to escape through it and reflect the warmth back into the rooms. So it reduces the load on the heating system of the house, which helps in energy conservation. Low e glass also blocks most of the infrared radiations, so the heat coming to the building in summer is reduced up to some extent. Hence it keeps the interiors cooler in summer and helps in reducing the cost of air conditioning. Low e glass windows are expensive as compared to float glass, but over the long run are economical. Also Read: What is a Low E Glass: Know Before Buying! There are many more eco friendly building materials which are revolutionising the construction industry towards a sustainable environment. It is possible to use many green elements while renovating old houses for flooring, wall panels, or insulation, or in interior decoration with just a little forethought. People are nowadays leaning more towards green and eco friendly buildings. For new buildings, prior planning is essential to incorporate different eco friendly building materials. “IoT Integration” – Smart Building: Is It Changing The Way We Live! Previous PostPrevious Window Drapes vs Curtains: Secrets that You should Know About it! Next PostNext 8 Tips to Design Your Fireplace in a Home!